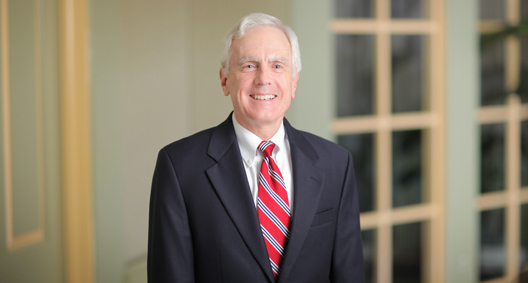 Ken Howard is a business lawyer who practices primarily in the area of communications law, focusing on the representation of clients before the Federal Communications Commission (FCC). Previously the legal adviser to former FCC commissioner James H. Quello, Ken's clients include commercial and noncommercial television and radio broadcast groups. Ken has represented a wide variety of broadcast and wireless licensees and other service providers before the FCC's Licensing and Enforcement bureaus. Served as primary FCC counsel to an American media conglomerate in a $212 million purchase transaction of outstanding shares of a broadcasting company. Faced a competitive bidding process, a 72-hour window in which to conduct negotiations and a strict 90-day deadline to close the deal. Served as FCC counsel advising a client on the proposed acquisition of certain broadcast TV stations across various markets throughout the Midwest and eastern U.S. through a private auction. Served as FCC counsel for an Ohio newspaper publisher in the sale of radio stations in multiple markets under tight deadlines. Successfully represented a client through an FCC Enforcement Bureau investigation of compliance with the Telephone Consumer Protection Act.